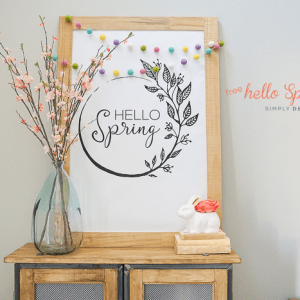 Ya’ll know my love of ditching all these chemical and switching to natural homemade alternatives and so today I am excited to share this fizzy homemade toilet cleaner recipe with you! 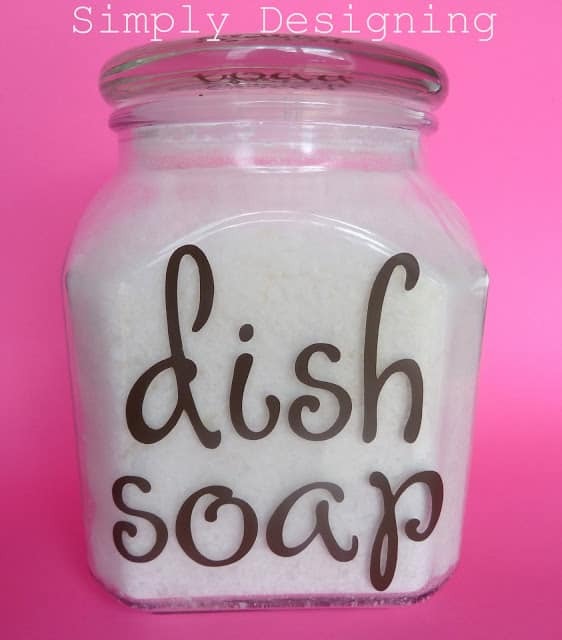 If this interested you, you might want to check out my homemade dishwasher detergent here too. But today we are talking all about homemade toilet cleaners! Woot woot! This essential oil toilet cleaner is a really great way to clean your toilets with a fizzy toilet bomb type of cleaner. It is easy to make, doesn’t cost too much and does an amazing job of cleaning! Now, of course, you may still need to grab out your toilet wand and scrub a bit because this isn’t MAGICAL. I mean it is totally magical, but poop is not magical and sometimes you just need to scrub it off am I right? So let’s recap, fizzy homemade toilet cleaner = magical, poop ≠ not magical. There we go, we are all on the same page. 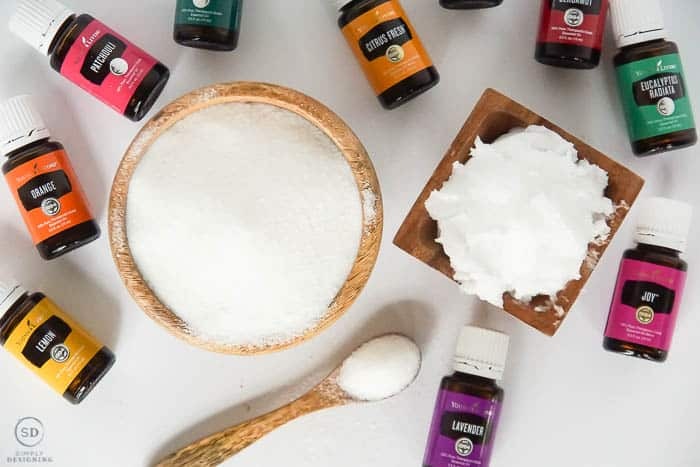 The great things about essential oil toilet cleaner is that I know I am not exposing myself to anything toxic or any chemicals that might cause respiratory issues or even cancer. What is in toilet bowl cleaner? Traditional toilet bowl cleaner, you know, the blue stuff, is generally made from chemicals that I can’t pronounce. When I look up the kind of toilet bowl cleaner I used to buy on EWG’s website, I can see that it gets a rating of a D, meaning it is full of a lot of stuff I don’t want to expose me or my kids to. Some of the ingredients in it are known to cause skin irritation, damage to vision, respiratory issues, nervous system problems, cancer and more. I want a clean toilet. But I also don’t want any of those problems, especially cancer. 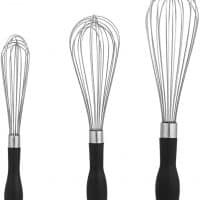 So in my effort to stop bringing these awful things into my home, I have discovered I need to be the gatekeeper, do my research to buy better alternatives or sometimes make my own. 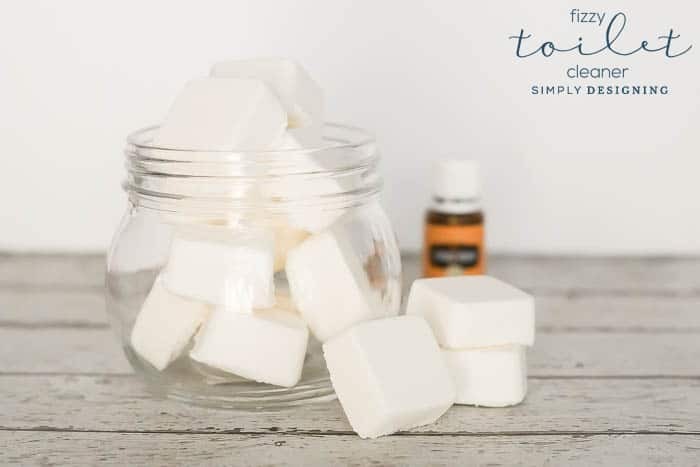 When it comes to cleaning my toilets, I can easily make 24 toilet fizzies in a few minutes which will keep my toilets looking sparkly clean for months! Woot woot! What is in homemade toilet cleaner? 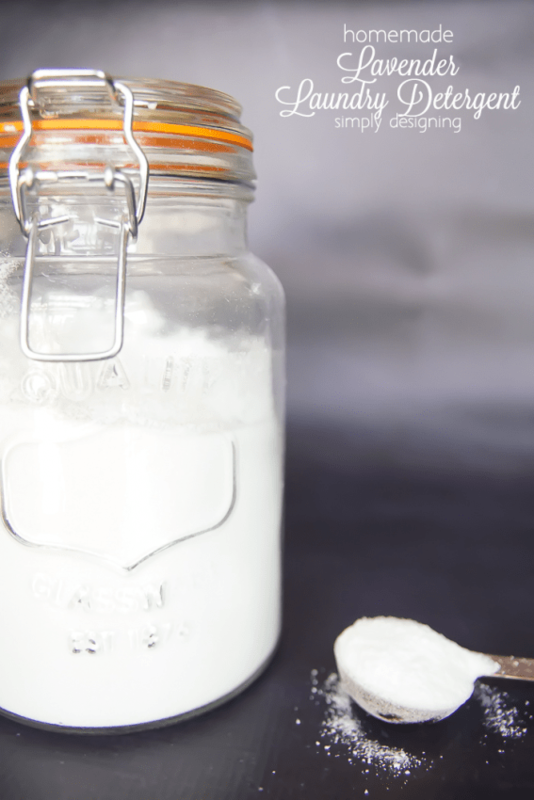 Homemade toilet cleaner contains baking soda, citric acid, essential oils and Thieves Household Cleaner. 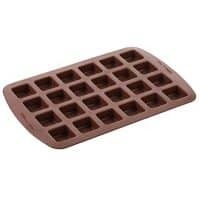 After you make them you will simply put them in a mold, let them dry, pop them out and then pop one into your toilet! You can watch it fizz and then come back and give your toilet bowl a quick scrub for perfectly clean toilets without a lot of scrubbing and without exposing you and your family to harmful chemicals. 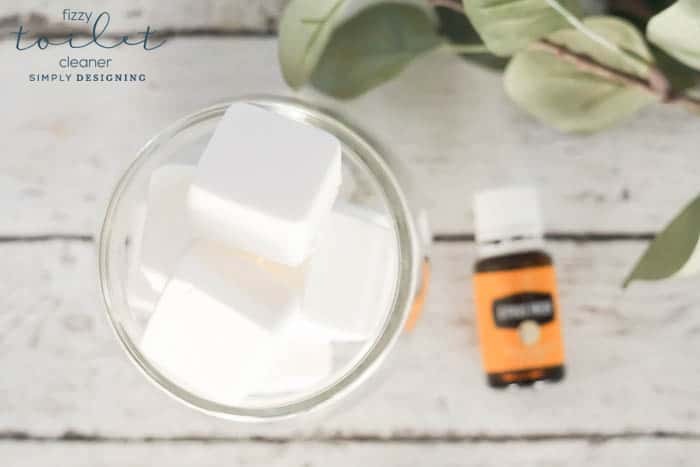 How do I make essential oil toilet cleaner that fizzes? 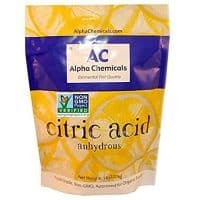 It’s all about the citric acid my friends! 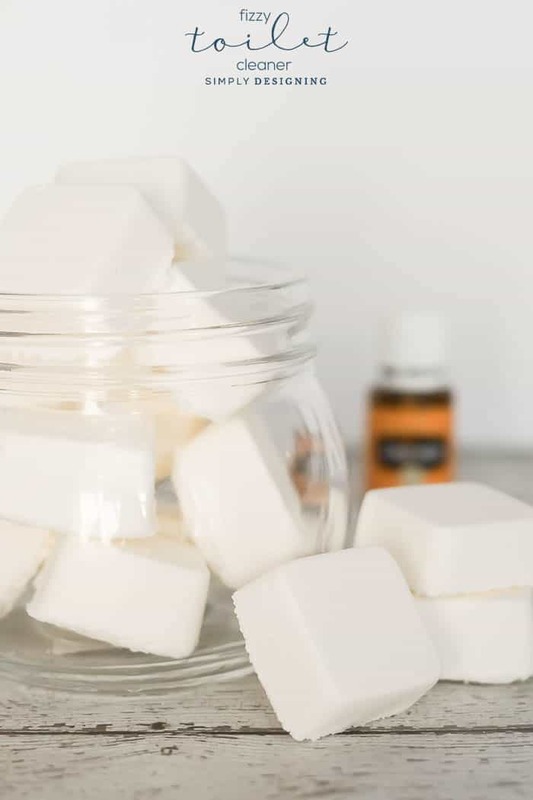 Baking soda and citric acid, combined with essential oils are the perfect way to make a natural toilet cleaner that fizzes! 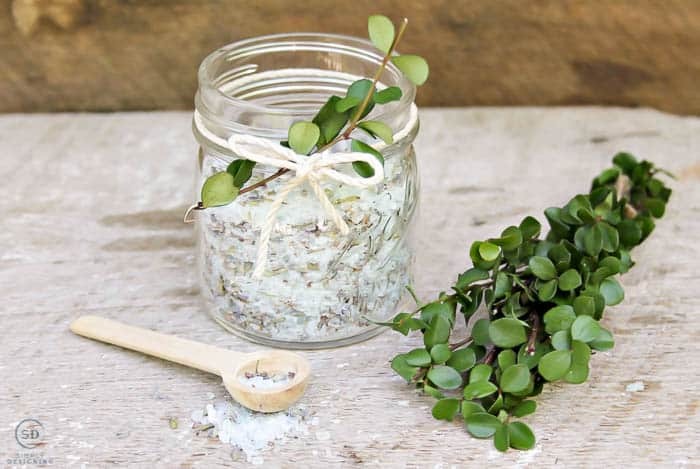 Why use essential oils in this homemade toilet cleaner? 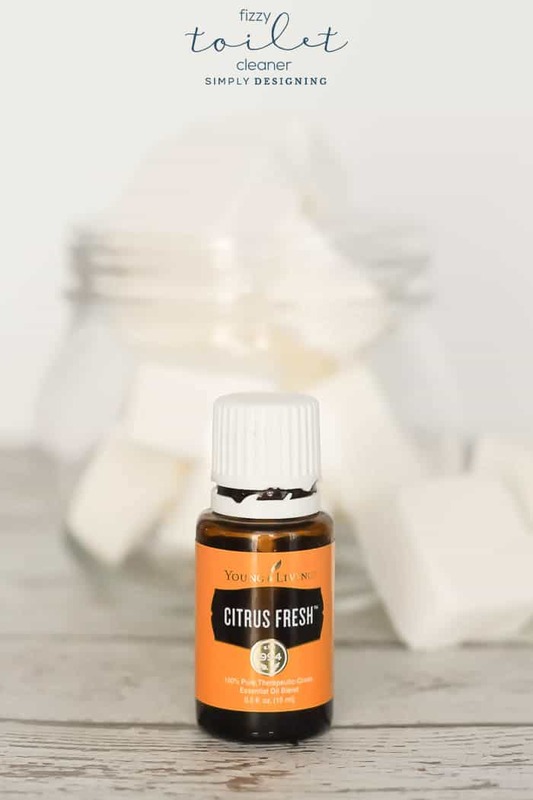 Citrus Fresh (the essential oil I used in this recipe) is actually really amazing to add to your cleaners! The citrus oils are great to help break down gunk. For example, lemon oil will get sticker residue off or surface and is also great at getting sharpie marker off of walls, cabinets etc. So when it comes to cleaning the inside of your toilet, these citrus essential oils are GOOD! 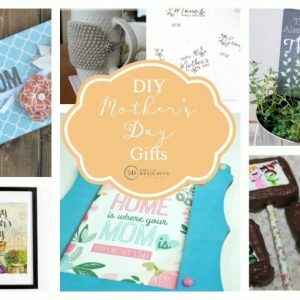 I have linked to the Premium Starter Kit in this post for purchase. That kit comes with the Citrus Fresh essential oil I used and a sample of Thieves Household Cleaner (enough to make 2-4 batches of these). 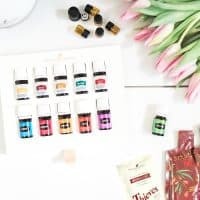 This is truly the best way to get started with essential oils for the best price. 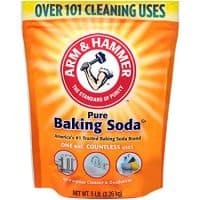 Put baking soda and citric acid in a glass or metal bowl and stir until combined. 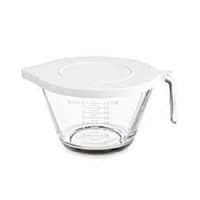 Slowly add citrus fresh essential oil and Thieves household clear stirring as you go. Start slow and add a little more at a time until the mixture barely stays together when pinched. Place mixture into silicone molds and press firmly. Let sit for about 5 hours until dry. Pop out of molds and place in an airtight container (or Ziploc bag) until ready to use. When ready to use, place one in the toilet and let it sit and fizz. Scrub your toilet bowl as needed for a perfectly clean finish. 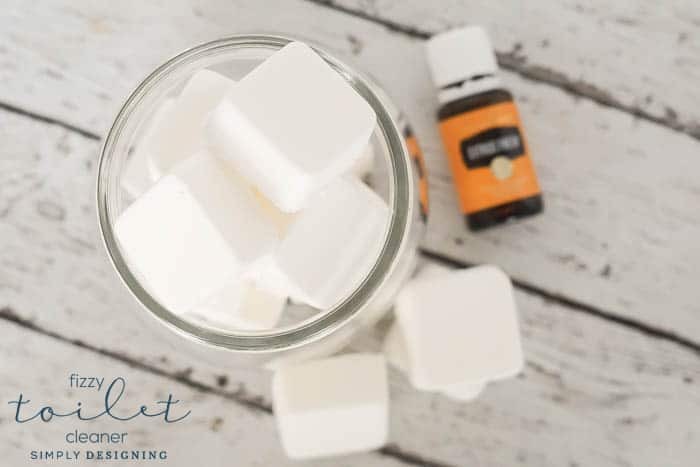 This non-toxic fizzy homemade toilet cleaner is so easy to make and does a great job loosening grime from your toilet bowl.